Steven McGrath selected for the Lifetime Achievement Award by the International Association of Top Professionals (IAOTP). 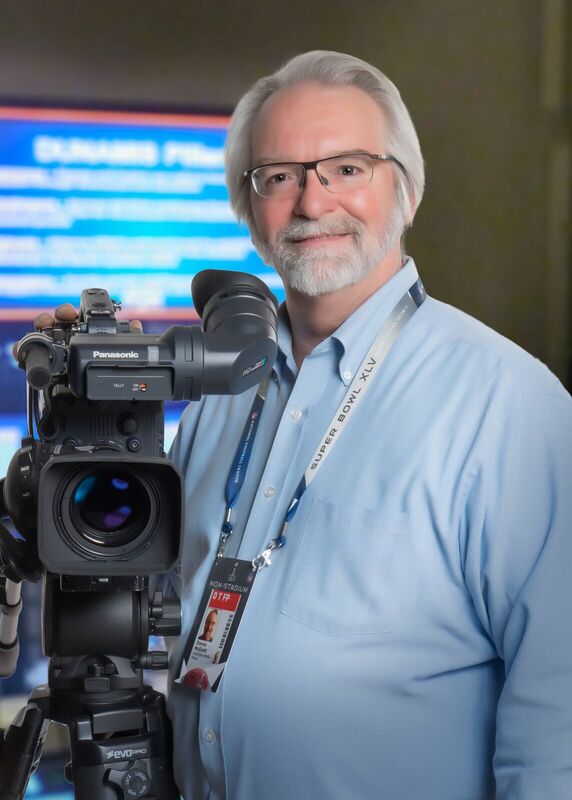 SAN ANTONIO, TX - 21 Aug, 2017 - Steven W. McGrath, Owner & Principle of McGrath Media Productions was just recently selected for the International Association of Top Professionals (IAOTP), prestigious Lifetime Achievement Award for 2018. While inclusion with the International Association of Top Professionals is an honor in itself, only a few members are chosen for this distinction based on their years of experience in the field, professional accomplishments, academic achievements, leadership abilities, and contributions to their communities. These are truly incredibly talented professionals who have dedicated their life to their work and have had a lifetime of achievement and success! Steven will be honored at the 2017 IAOTP’s Annual Award Gala, at the Ritz Carlton in Battery Park NYC for being selected not only for the Lifetime Achievement Award, but he was also selected as “Top CEO of the Year in Media Productions and Communications for 2016 & 2017!" IAOTP will be announcing his selection for both distinctions and he will be receiving the Sapphire Diamond Crystal piece engraved for his Lifetime of Achievement and Success. . Stephanie Cirami, President of IAOTP stated “Choosing Steve for this award was an easy decision for our panel to make. He is brilliant, extraordinary, and an inspiration to not only other Professionals in Media and Communications, but has also been a successful Entrepreneur. Steve is in a class of his own and we are honored to have him with our organization. All honorees are invited to attend the IAOTP’s annual award gala at the end of this year for a night to honor their achievements. For more information, visit: www.iaotp.com/award-gala. Steven is being recognized for having over 3 decades of experience in media production and corporate communications. His key responsibilities involve helping Fortune 100 companies have successful seminars, Employee Recognition and Award Celebrations and live business meetings. He focuses on creating powerful marketing tools and educational messages, while motivating employees and customers alike. Steven excels in customer service, and has the ability to take an idea from a client and turn it into something tangible and marketable. He is ultimately responsible for all aspects of business operations, including overseeing the budget, planning, employee recruiting and marketing. Since 2010, he has worked with companies small and large, parlaying his vast experience in corporate communications with Fortune 100 companies in the areas of network news, professional sports, live events, laser, musical entertainment and interactive webcasting to meet their electronic communication needs. Steve continues to collaborate and lend his technical expertise and creative talents to production companies like JSAV, PRG, AVTS, PSAV, The Avent Techs and others. Beginning in 2015, Mr. McGrath began working with RackSpace as their Technical Director of choice for national and International Solve events and other large sales and marketing roll outs. In the last quarter of 2015, he began an extended contract with USAA and is providing Audio Visual, Media Production and IT support across the entire enterprise. Throughout his illustrious career, Steven has received numerous awards and accolades for his outstanding leadership and commitment to the profession and belongs to many professional organizations. For 2018, he is being considered for the Visionary of the Year by the International Association of Top Professionals and also to be featured in T.I.P Magazine (Top Industry Professional.) For 2017 & 2016 he was named Top CEO of the Year in Media and Communications by the International Association of Top Professionals and named Outstanding Entrepreneur of the Year. He received certifications from; The Society of Broadcast Engineers, The Personal Communications Industry Association and The National Association of Business and Educational Radio, Inc. Steve attended the University of Missouri-Columbia but left school to work at a St. Louis radio station. While working at WRTH-AM as an announcer, he received a Bachelor of Science in Mass Communication with minors in Marketing and Music from Southern Illinois University, Edwardsville in 1978. Looking back, Steven attributes much of his success to his diverse background in Radio, Laser Entertainment Theater, Corporate Communication and News; he can successfully operate in almost any high-pressure environment. He has maximized results for his clients by finding the most effective way to deliver their messages. In his spare time, he enjoys his family, listening to music, target shooting, and attending concerts and plays. For the future Steve plans to retire while still managing his brand. When asked of his many highlights of his career, Steve says that he has been blessed; he loves doing what he is doing and believes the best is still yet to come.